Sukhmander Singh of Adesh Deol Trucking was not in court Wednesday when his lawyer pleaded guilty on his behalf to five charges. Singh, 37, was fined a total of $5,000. The Calgary-based trucking company is no longer in business. The convictions include failing to keep a daily drivers log, neglecting to ensure his drivers complied with safety regulations, and having more than one daily logbook. Singh also pleaded guilty to not having or following a written safety program. Court documents showed the offences occurred between Jan. 1 and March 31, 2018 — prior to the fatal crash on April 6. "This should serve as a warning to other owners of truck companies," said Judge Sean Dunnigan. "This is a serious business, and we see why with tragic results. I'm satisfied that .. (this) meets the objectives of the sentencing particularly as a general deterrent. "This is the end of a very, very sad tale." Sixteen people were killed and 13 were injured when the Broncos junior hockey team bus and a semi owned by Singh collided at an intersection in rural Saskatchewan. Michelle Straschnitzki, whose son Ryan survived but is paralyzed, said the fine isn't much of a disincentive. "It's good but not exactly a hard-stance deterrent," she said. "However, the limitations to our legal system are what they are. Maybe the actual laws and lawmakers need to be revisited." 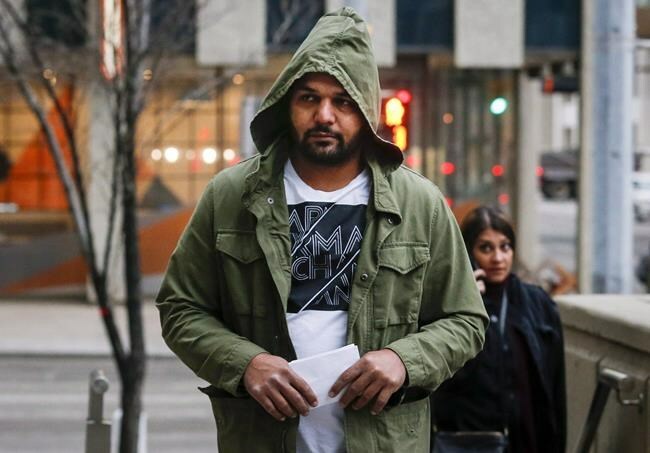 Crown prosecutor Deanna Smyth told court that the fines are much lower than the maximum allowed, but noted Singh had no previous record and his offences weren't criminal. "I understand that there's a lot of attention with this being related to the Humboldt crash accident. In fact, these charges are not actually related to that offence," Smyth said. Singh's lawyer said her client needs until the end of next year to pay the fine. "He is the primary breadwinner for the family. He tells me he's currently unemployed and unable to get any work because of the media attention from Humboldt," Sadaf Raja told the judge, who granted the request. Later, outside court, Raja said her client is remorseful. "We were all saddened by what took place. Everybody because of the type of case — it's hockey, it's Canada — we all related to it in some way." Court heard during Sidhu's sentencing hearing that he was an inexperienced driver who had been on the road for only three weeks. He had worked with another driver for two weeks and had been on his own for just a few days before he missed a stop sign and drove into the path of the bus. His lawyer told court that Sidhu was distracted by flapping tarps covering the semi's load of peat moss. The crash spurred the three prairie provinces to require mandatory training for commercial truck drivers. It came into effect this month in Alberta and Saskatchewan and is to become law in Manitoba on Sept. 1.